Susan's Craft Room: Stampin' Up "On Stage" Event in Atlanta! 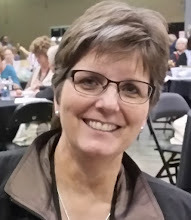 This week end I am at the Stampin' Up On Stage Event in Atlanta, GA! The live event is being held in Australia this time. "Local" events are held all over the world on the same week end as the live event. goes live in January. I'm so excited to get an early copy! We'll even have 3 sessions to play with some of the new upcoming products and make projects! This evening I participated in a "meet up" with a group of ladies from an mix of southeastern states. We had a great dinner at The Cheesecake Factory. This was a first for me since we don't have one locally. (No, Penny wasn't working and I didn't see any of the fellows there!) We had a great time discussing business ideas and getting to know each other. I'm looking forward to to the big event tomorrow. We check in at the Stampin' Up welcome center at 7:30am. Thank goodness I have coffee provided in my room! The event starts at 8:30am and doesn't end until 6pm. I've been warned that it may run a bit longer. I know there will be a lot of us hanging around talking shop after the event - especially after the exciting news we are sure to hear! 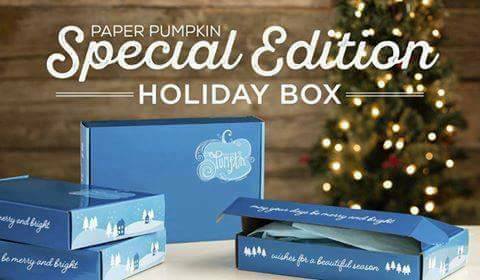 Everyone subscribed by November 10th will receive the special Holiday Edition My Paper Pumpkin Kit!! Be sure to list me as your demonstrator when you subscribe.